So I have a new project. I decided to not continue with the 1/35 Sherman and Scout Car diorama, basically because it was boring me. I have purchased everything to complete the diorama, but I couldn't help feeling "meh" about the whole thing. Dammit, time for a big change, and after building 1/35 military models for the last year or so, I figured a model aircraft would be a good change. I've decided to go with the WD-A colour scheme on the side of the box. 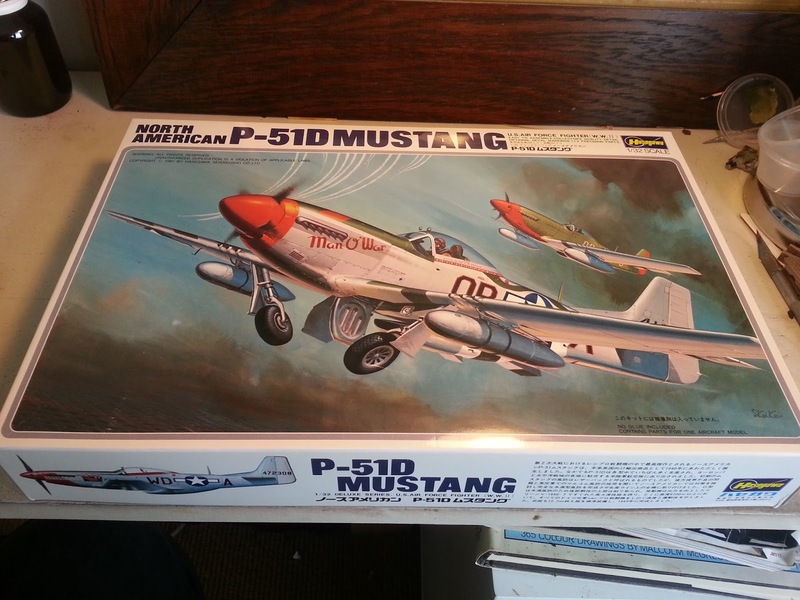 As a result, I have dusted off a 1/32 North American P-51D Mustang fighter kit by Hasegawa. I've done a box review in the video below, but the most important thing to note is this: it's a kit from 1987. From what I can see, the 1987 version is a re-issue with different decals of a 1980 kit. And I have also read online that the 1980 kit is just a re-tooling of a Hasegawa kit from the 1960s. This all boils down to this: I am going to have my work cut out for me bringing this ancient kit up to modern standards. Luckily, this is an aspect of the hobby I really enjoy. 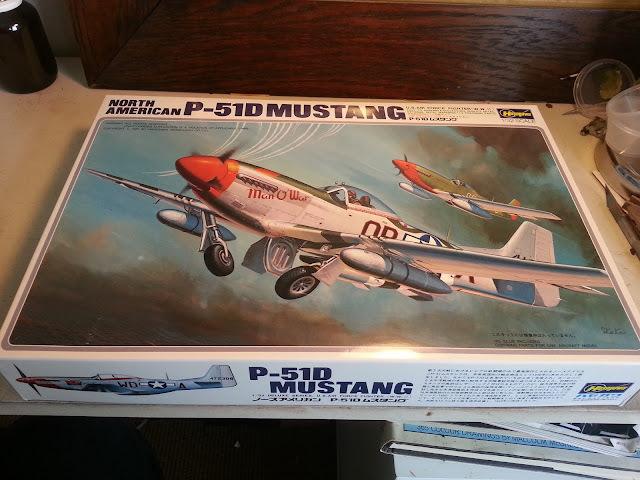 Bloody hell, I wouldn't put myself through all the scratch building and updating if I didn't, I would just buy the latest and most expensive 1/32 Tamiya Mustang kit. But I like the improving, the thought that goes into improving an old kit. Masochistic. I know. Engine & engine bay - detailing, add plumbing. Cockpit - seatbelts, detailing, improving the very rudimentary instrument panel. Wheel wells - scratchbuilding and detailing. Landing gear - add brake lines. Here's my preliminary unboxing video.